When was the last time you explored Fremantle? And we’re not talking about grabbing a quick stow away bagel to smuggle onto the ferry to Rottnest, or necking an extra shot coffee as pre-Laneway Festival fuel. We mean really wandered its streets and laneways, fossicked through its iconic markets, nestled your toes in the sand at Bathers Beach, strolled along South Terrace, and ended the day with an icy beverage by the sea. Our favourite eclectic destination is an ever-growing hub of culture, architecture and best of all, food. So, we took on the arduous task of drinking all of the coffee, so we could tell you about the best hidden cafes in Fremantle. Kermit the frog may have declared it is not easy being green, but we’d have to disagree if you’re shovelling Duck Duck Bruce’s version of smashed avo topped with rubies of pomegranate into your gob. 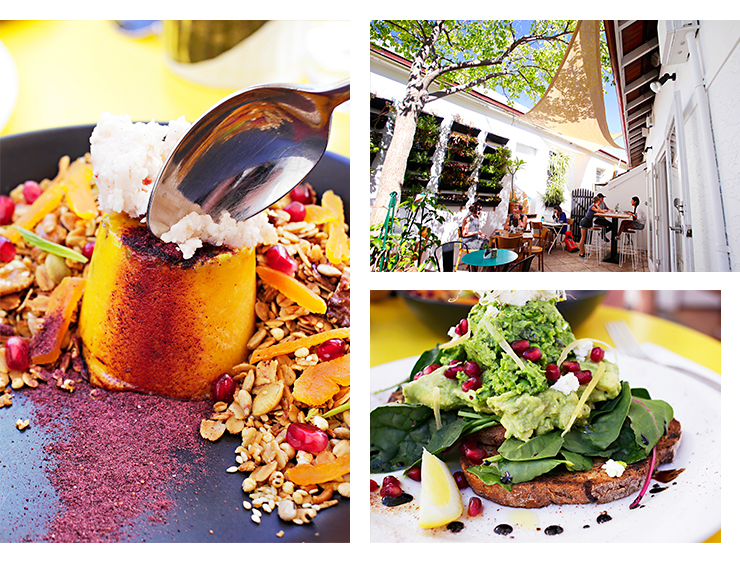 Their “it’s not easy being green” brekky is just one of the many delicious items on their menu that we can’t wait to make our way through. Their sesame pretzel bun with lashings of bacon, onion jam, a gooey fried egg, avo, hollandaise and greens penned “the morning after the night before” has our name all over it after a few too many Saturday night vinos. The Grumpy Sailor's mouth-watering bagels have been on our hit list for quite some time, but now there is twice the reason to head to Freo and devour these carby mounds of goodness. The Grumpy Sailor doubled the fun by opening Baby Grumpy Sailor on Queen Street, so it would be rude not to stop by and check it out. While you're there, you might as well grab a cup of coffee and a delicious bagel. 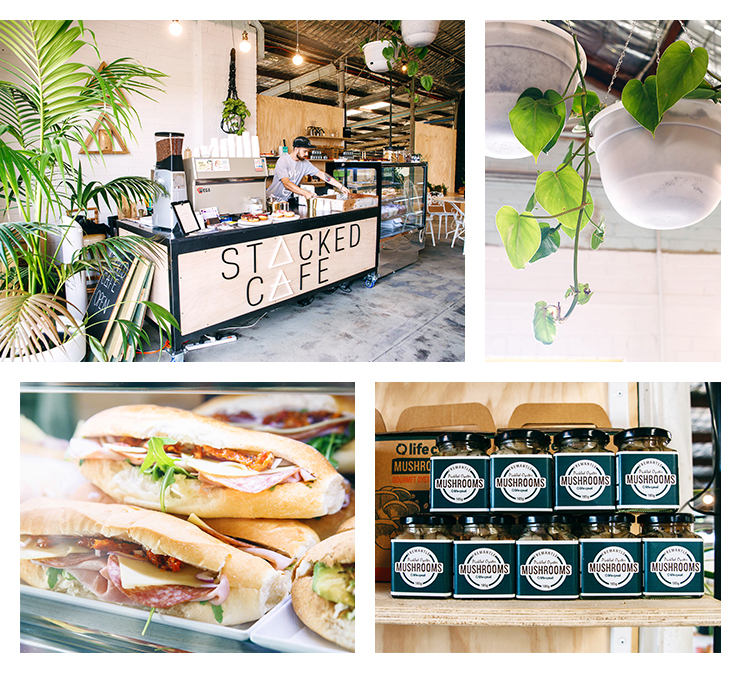 They had us at brekky burgers, but they’ll keep us coming back with their epic coffee. Best Wishes is serving up speciality coffee and they are serious about their beans. You’ll find Perthians flocking to sample the smooth caffeine offering all week, and indulging in Short Order Burger Co brekky burgers in store on weekends. Do you remember the days when you’d beg your parents to go to Fremantle just so you could spend all of your pocket money in Timezone? If the answer is yes, finding Milk Belly will be a breeze. Grab a Bueno shake topped with a waffle cone and Ferrero Rocher (and drizzled with Nutella—O.M.G!) or one of the delish sweet treats on offer. 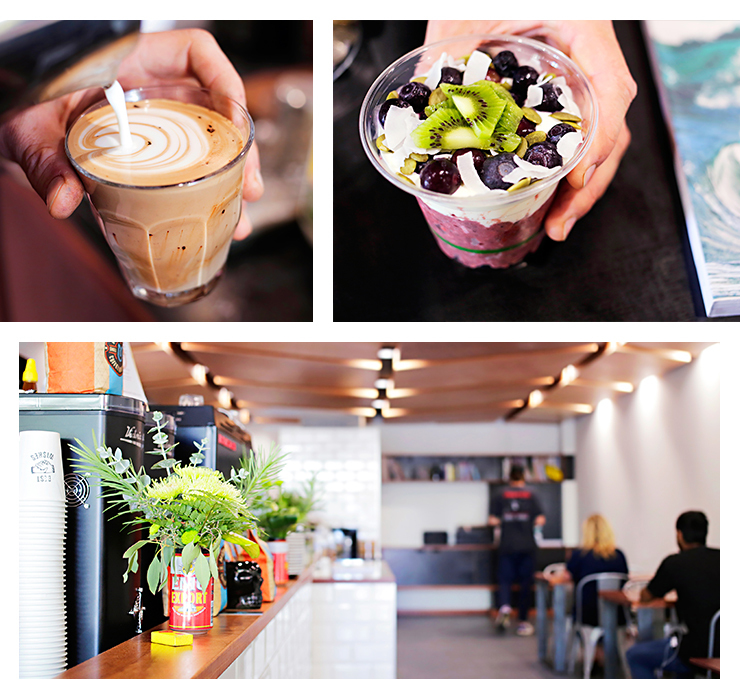 These guys also do perfectly brewed coffee, killer sandwiches and even steamed shakes when the weather cools down! Nostalgic visit to Timezone is optional, but recommended. You'll find Little Hush hiding down the marble tiled laneway that is Atwell Arcade. Stocked inside with all the classic cafe creations, muffins, tarts, banana breads and toasties, and lined outside with crates to take a perch, these cosy quarters are the perfect spot to take refuge as the rainy season takes hold. After so much success at their Victoria Park Cafe, Loving Hut has put down roots on Blinco Street. The green gurus specialise in vegan goodies sourced from hard-working locals. From their vegan soft serve to generous lunches, the meals pair perfectly with bubbly kombucha or a turmeric latte. Your craving for coffee will move to the back of your mind the moment you enter the stunning space that is Stacked Cafe. Lined with lush greenery from floor to ceiling and filled with handcrafted homewares as far as the eye can see, the spacious warehouse is an interior lover’s dream. Once you’ve had your fossicking fix, the coffee is quick and delicious, giving you more time to choose which plant to bring home. We recommend one of the giant Fiddle Leaf Figs (even those born without a green thumb can’t kill them!). 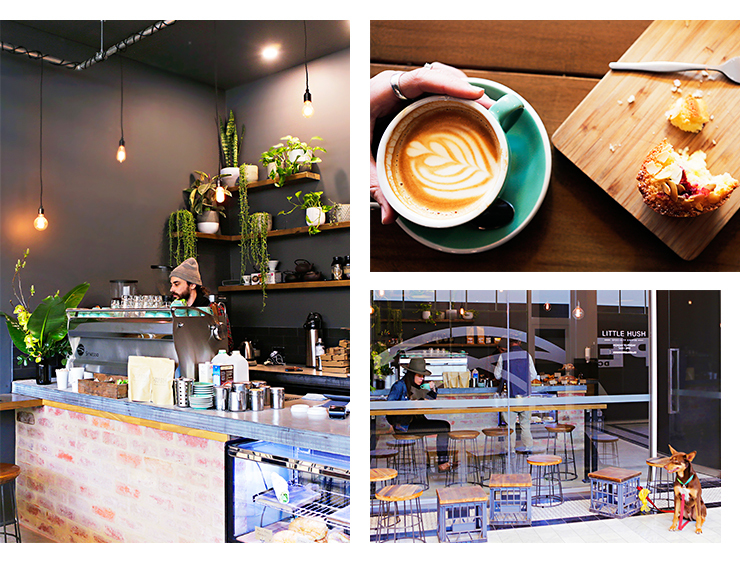 This spacious haunt has been a South Terrace favourite for coffee adorers for yonks, but you may not know that The Roasting Warehouse is now Port City Roasters. But do not fear, many of the same hearty breakfasts and lunches are being dished up (with the addition of coffee cured salmon, yum) not to mention their shining glory—coffee. Homewares and bags of freshly roasted beans are still available to purchase too. 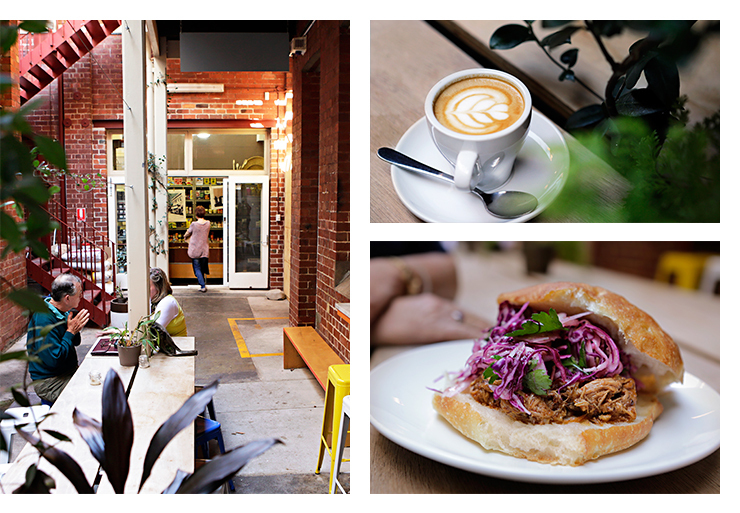 While we love our secret cafes in WA, they rarely stay hush-hush for long. Walk to the back of Kakulas Sisters and you’ll stumble across Leake Street Cafeteria. Wade Drummond, ex-Masterchef contestant, is the man behind the space and takes his food very seriously. Not only will he greet you with a smile and chat, but he pickles, ferments and makes everything in his teeny tiny kitchen to produce a delicious seasonal and evolving menu. Just like a little black dress, or a great linen shirt, sometimes simple is best, and the team behind Coccolicco is a testament to this. Serving up dang good coffee and sandwiches packed with classic but punchy flavours (think beetroot and goats cheese or the classic ham, brie, marmalade, mustard and rocket) we recommend getting in quick to snap up your fave combo before it sells out. Blink and you’ll miss this grungy hole in the wall 10 strides down from Bread in Common. Located in one of our favourite foodie hubs in Fremantle, this place makes Harry Potter’s bedroom under the stairs look spacious. But really, how much room do you really need to make a great coffee to go? Not much if Ghetto Blaster is anything to go by. Want more hidden spots? Check out the best hidden bars in Perth. If Jade were to add up the hefty amount she spent per week on coffee, wine, eating out and the copious jars of pickles consumed in one sitting, she’d nearly be a millionaire. But with the spectacular food and leisure offerings Perth has to showcase, who really needs an impressive savings account? A lover of design, architecture and beautiful interiors, if Jade isn’t hopping across Perth searching for visual and liquid inspiration, she is engrossed in a podcast while power walking, or off daydreaming about her next getaway.